The minimum order value is £250 and no deposit required. 1. Add the items you want to your basket, proceed to Checkout and fill in the details. 2. In the Payment Option section, choose V12 ‘Apply for instant finance’. 3. Choose the finance option you prefer and fill in the details (please, remember that we always deliver the goods to address from finance application). You’ll receive a decision on screen in about 5 minutes, unless your application is referred. You’ll then receive an email confirmation of your order. You’ll receive a decision within 24 hours if your application is referred. In a small number of cases, it may take 2-3 hours to do additional checks. If V12 Finance need further information, they will contact you directly. You have the right to withdraw from your credit agreement within 14 days following receipt of the executed agreement. Full details on how to do this will be included in the agreement. We make it easier than ever to enjoy modern furniture. Our superb credit options help you s-p-r-e-a-d the cost with affordable monthly terms. At Dakohome, you never need to compromise on quality and style – so we offer easy-to-use finance solutions to suit you. We know that everyone is different – so we have a variety of flexible payment options all shown on the Checkout page. 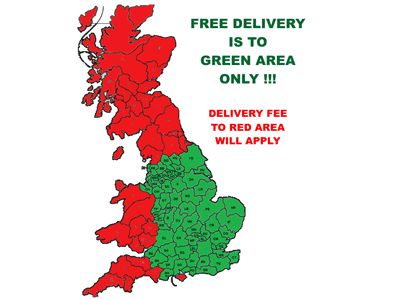 You could choose to pay for your order interest free over 6 months. Or if you choose Buy Now Pay Later, you could spread the cost over an even longer period. How do I know which products qualify for finance? All items qualify for finance – your basket just needs to be over £250. It’s easy to change your mind: you can simply add anything to your basket, from a wardrobe to a wall unit or from a dining set to a corner sofa. We’re flexible: you can choose how much deposit you want to put towards your order, as long as the amount you want to put on finance is over £250 you can choose the loan for 24 or 48 months. If you are interested in the shorter period of time loan (6-12 months) the minimum amount is £490.00. You won't pay a penny more if you choose the interest free credit option. pay nothing for 6 months and then 42 monthly payments at 19,90% APR. Pay nothing for 12 months and then 36 monthly payments at 19,90% APR. Find out how much your best deal with our handy finance calculator.